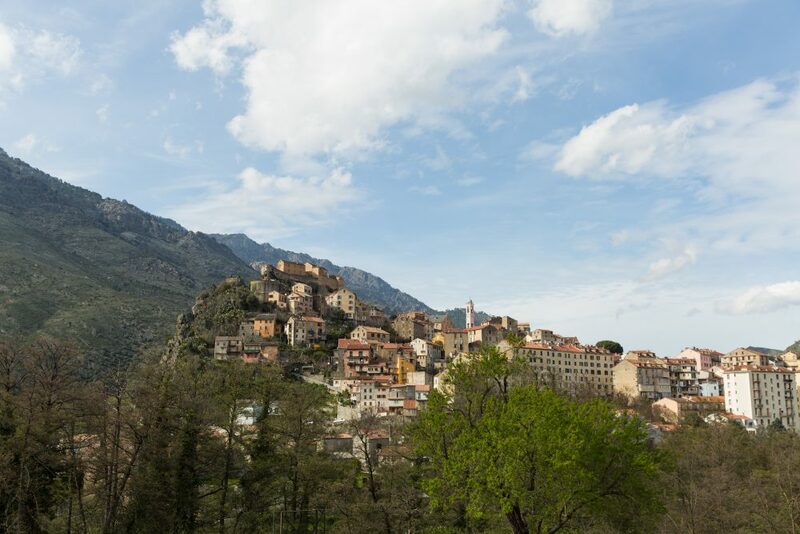 50,000m² of heritage built all over Corsica. 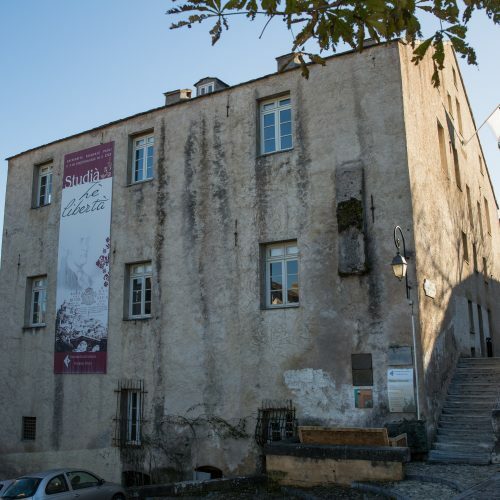 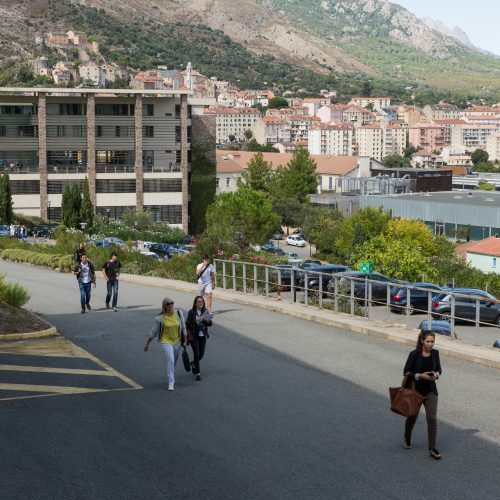 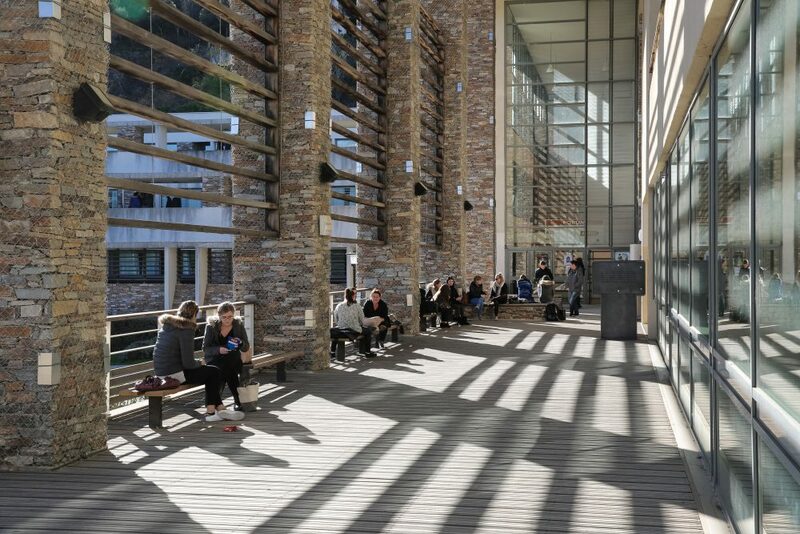 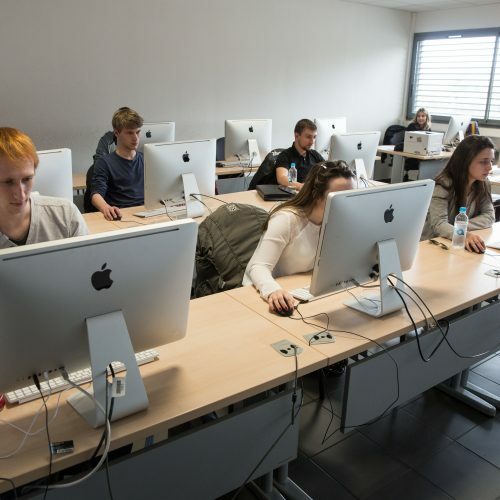 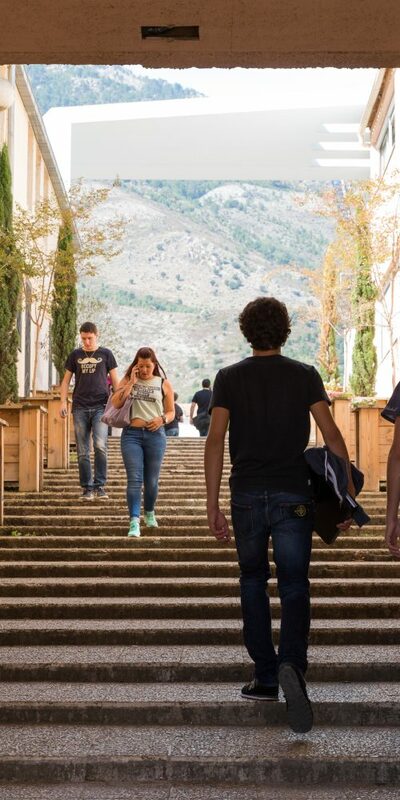 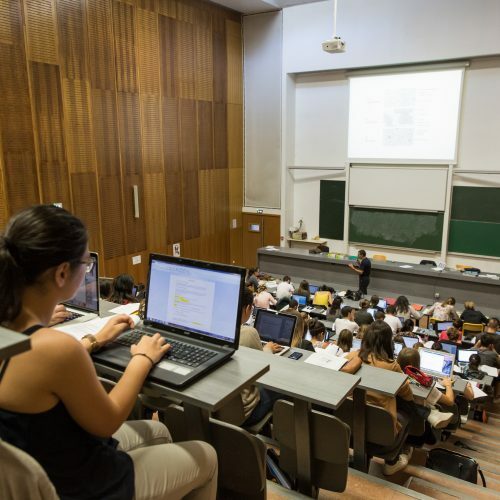 The University of Corsica owns a built heritage of quality which covers 50 000m² mainly located in Corte but also in the Bastia and Ajaccio regions and in Cargese. 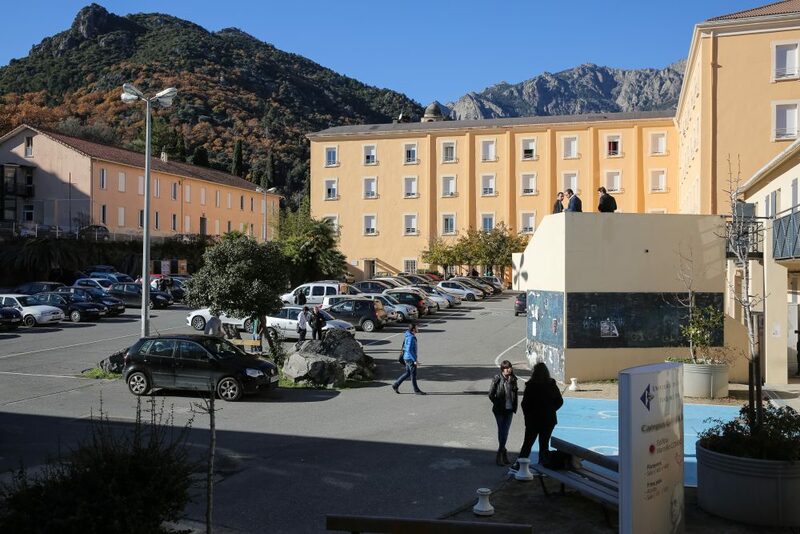 In Corte, the buildings of the University of Corsica are located on two campuses (Mariani and Grimaldi). 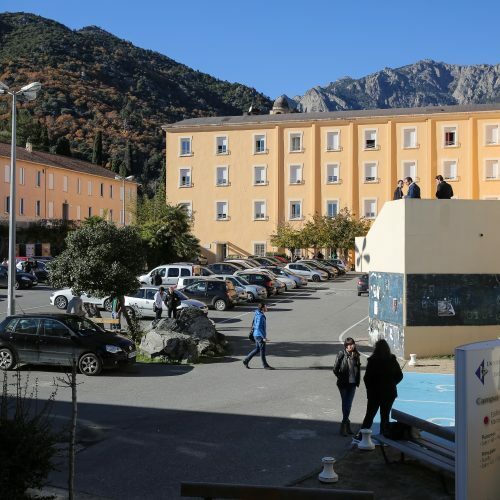 Most of the infrastructure of the University of Corsica is located in Corte. 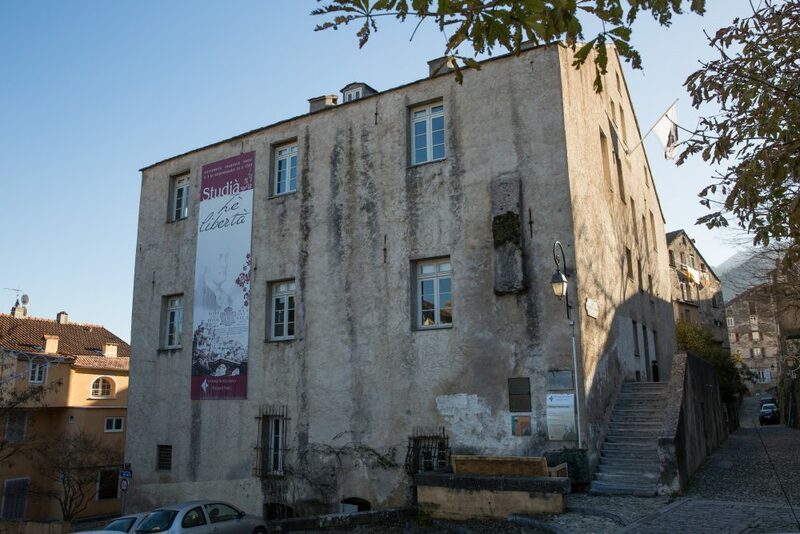 The Palazzu Naziunale, seat of the institutions of the Corsican Nation from 1755 to 1768, hosted the Presidency of the University of Corsica for a long time. 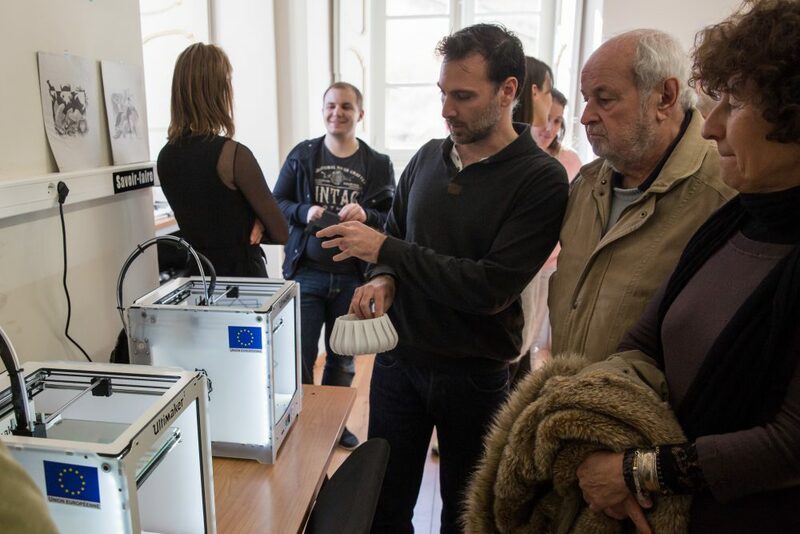 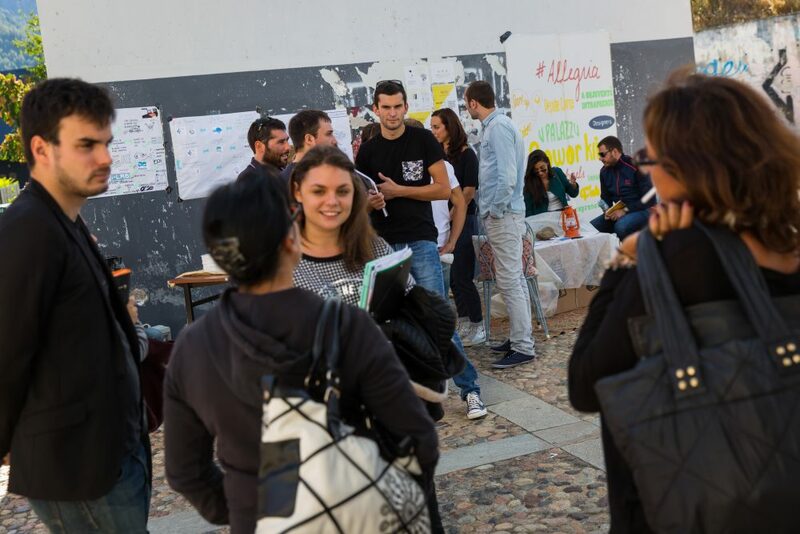 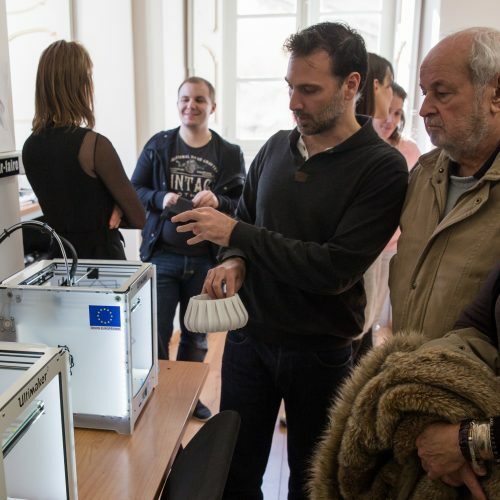 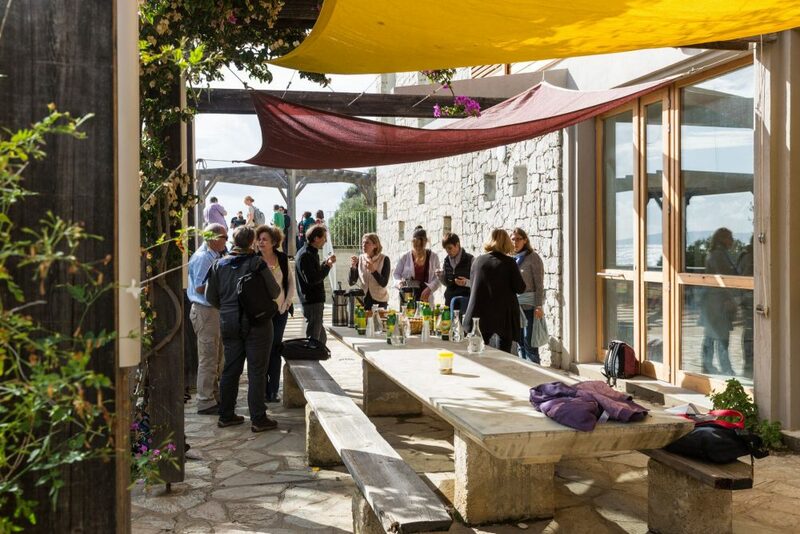 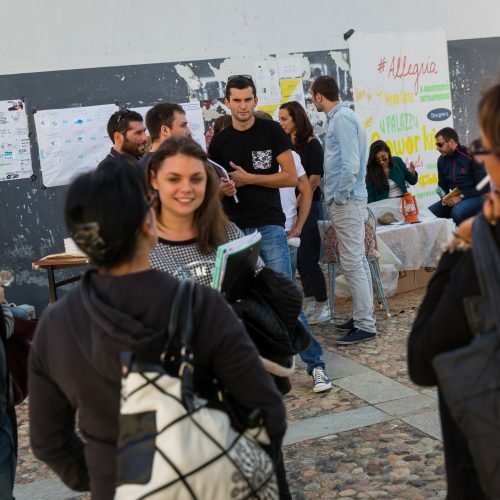 Today it hosts a coworking space, the Foundation and the Fab Lab of the University. 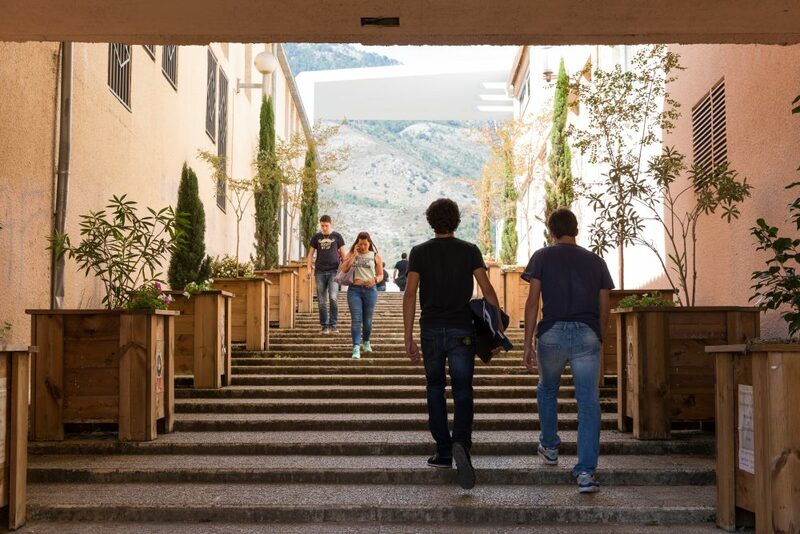 The Mariani Campus was the first to open its doors in 1981. 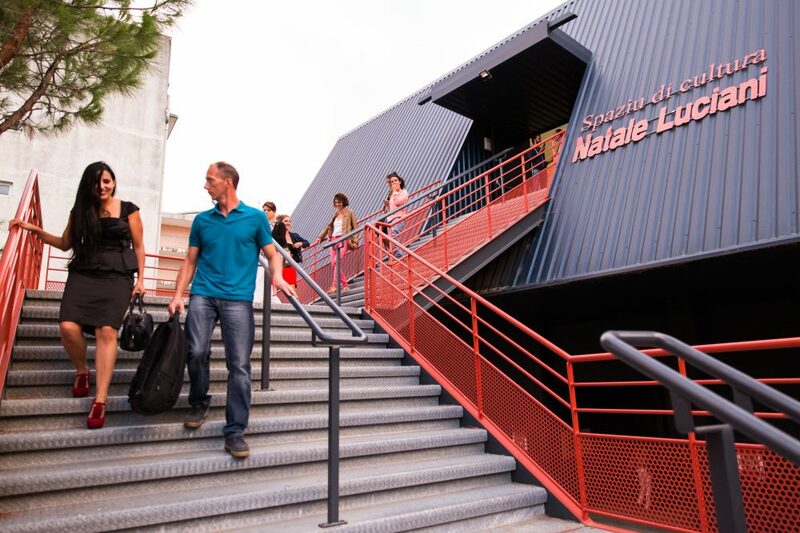 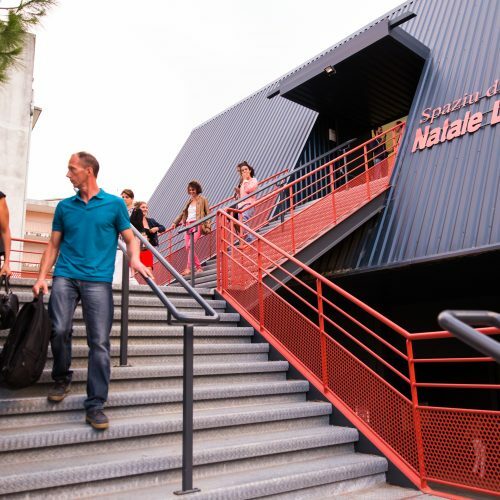 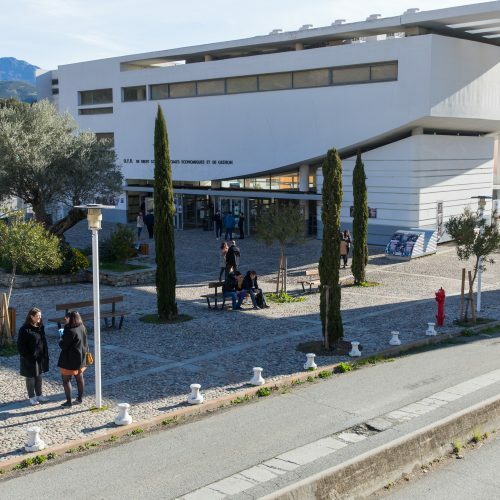 It hosts several faculties, schools and institutes as well as the Spaziu universitariu Natale Luciani; the theater of the University of Corsica. 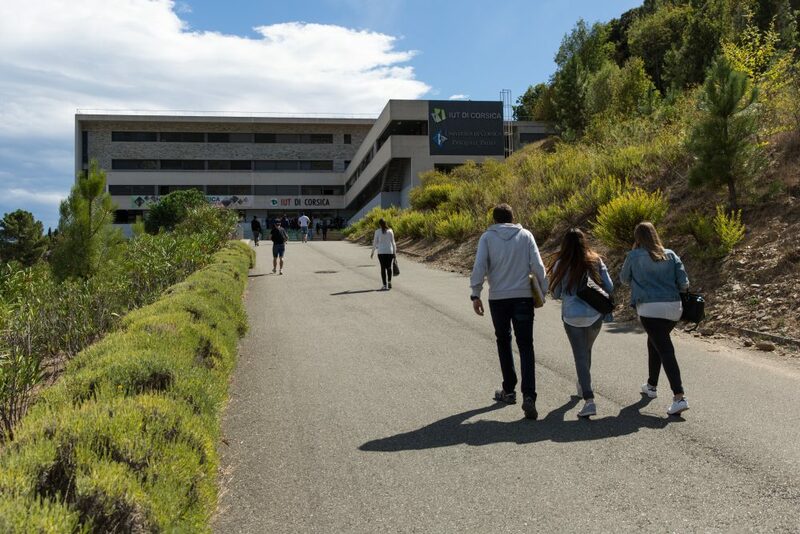 In the immediate vicinity of the campus, a new building dedicated to research in human and social sciences is under construction. 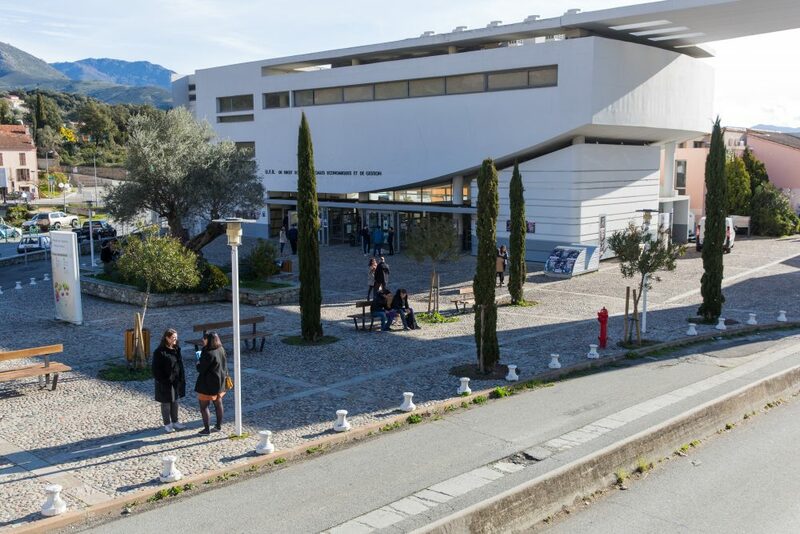 The Grimaldi Campus houses some of the teaching and research departments of the University. 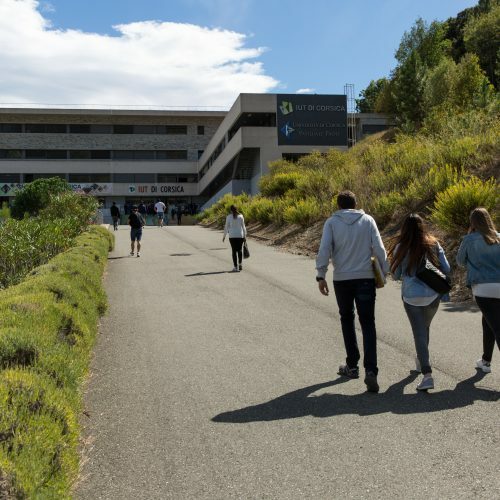 The Presidency, a library of 4500m² and most administrative services are gathered there, inside the building Desanti, inaugurated in 2016. 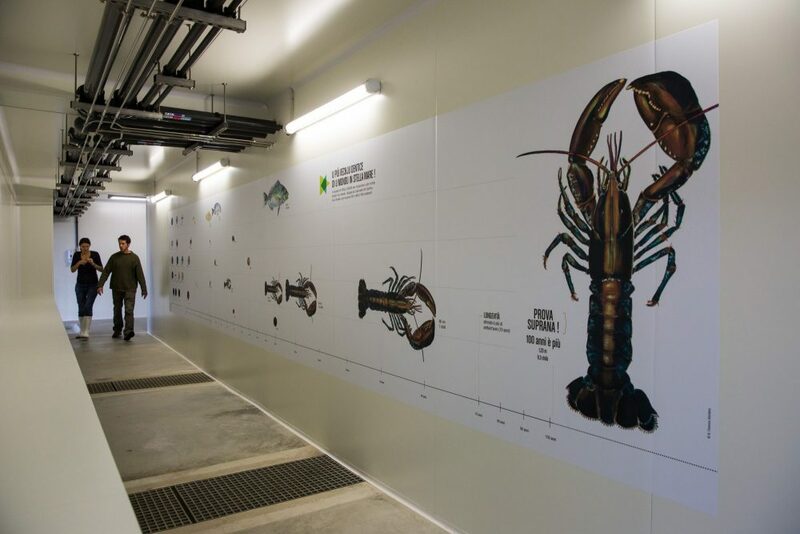 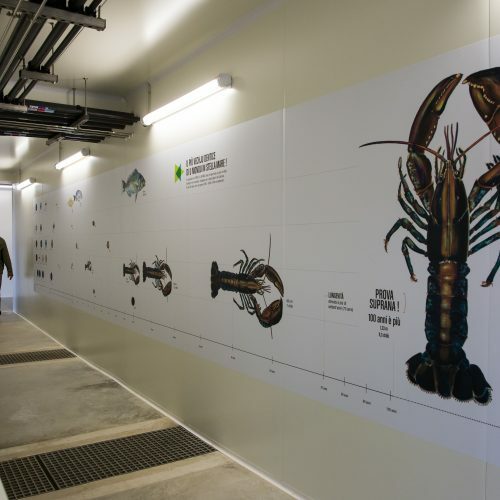 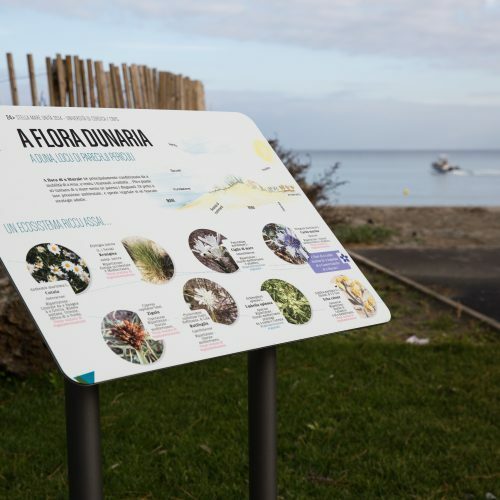 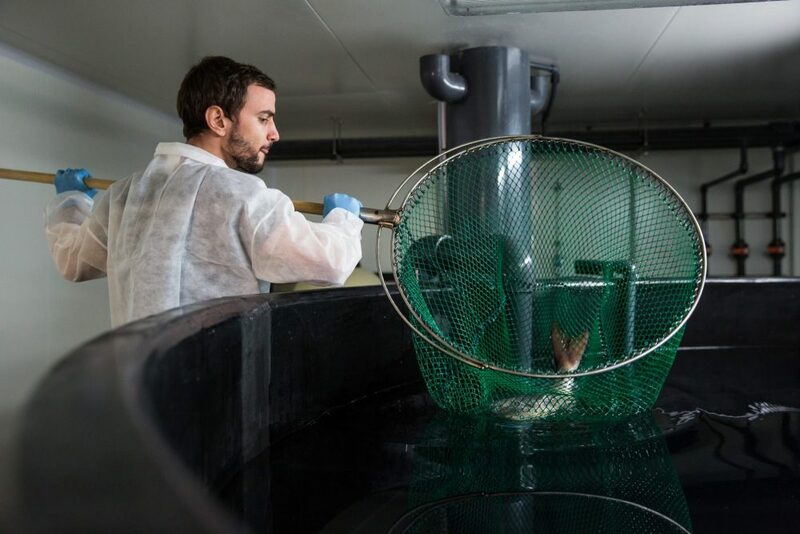 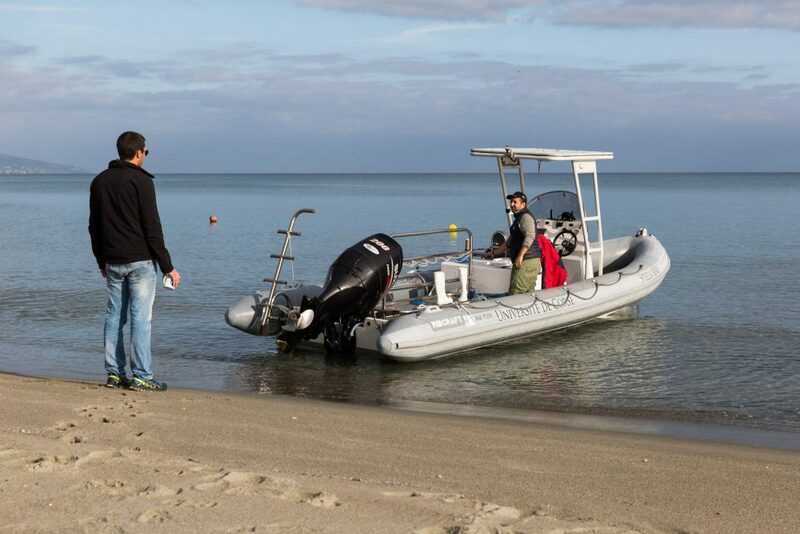 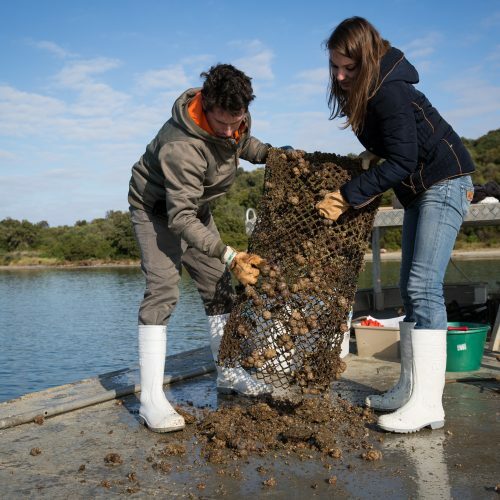 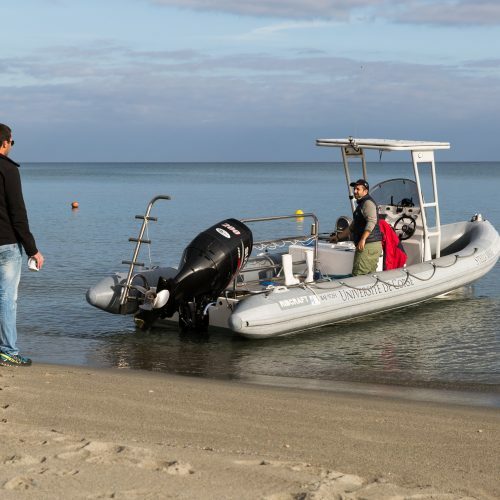 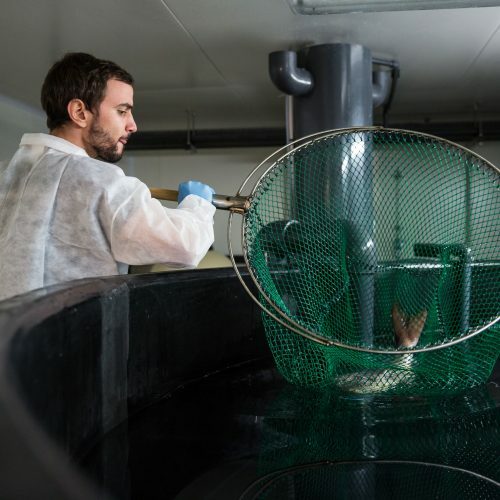 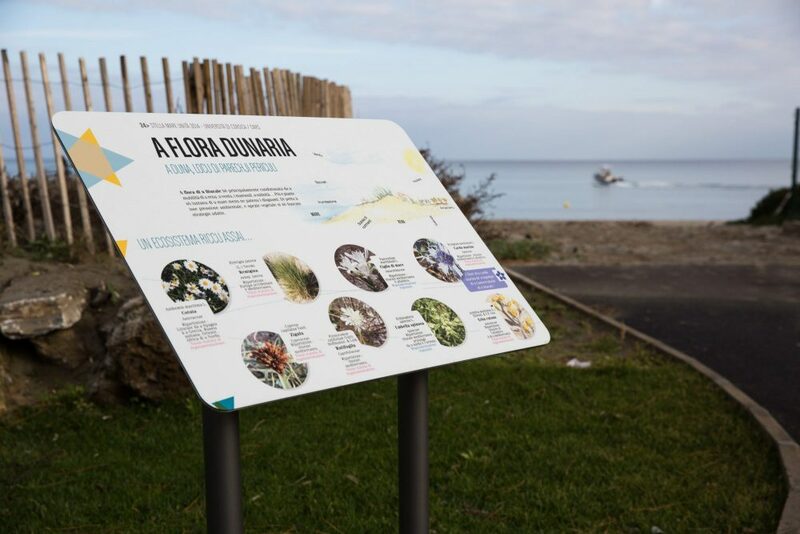 Located in Biguglia, south of Bastia, between the Pond of Chjurlinu and the Tyrrhenian Sea, the STELLA MARE platform of the University of Corsica and the CNRS are involved in marine and coastal ecological engineering in the Mediterranean. 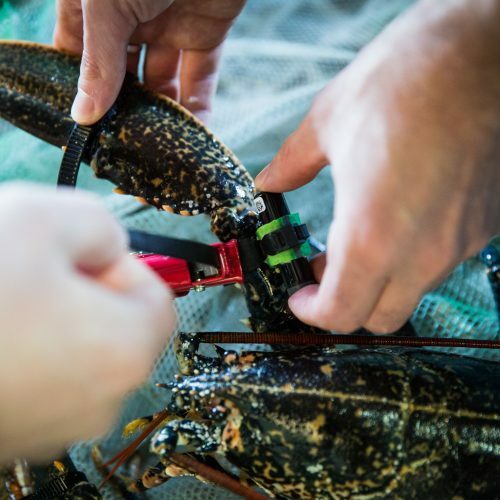 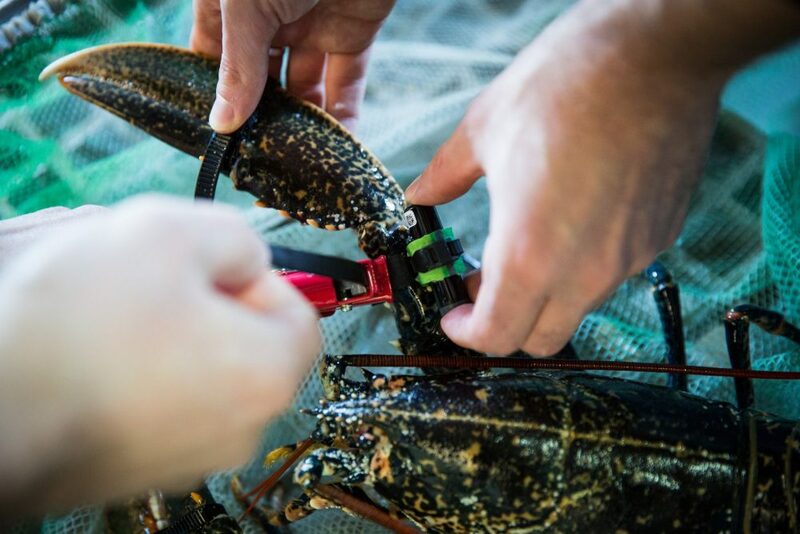 Research, technology transfer to sea professionals, awareness-raising and support: the STELLA MARE hubs of activity are as diverse as they are complementary. 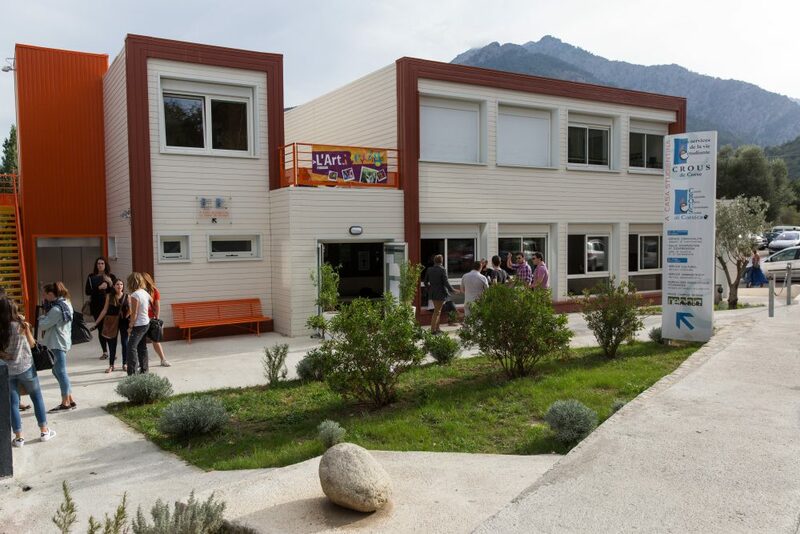 Borgo hosts one of the sites of the ESPE, Superior School for Teaching and education. 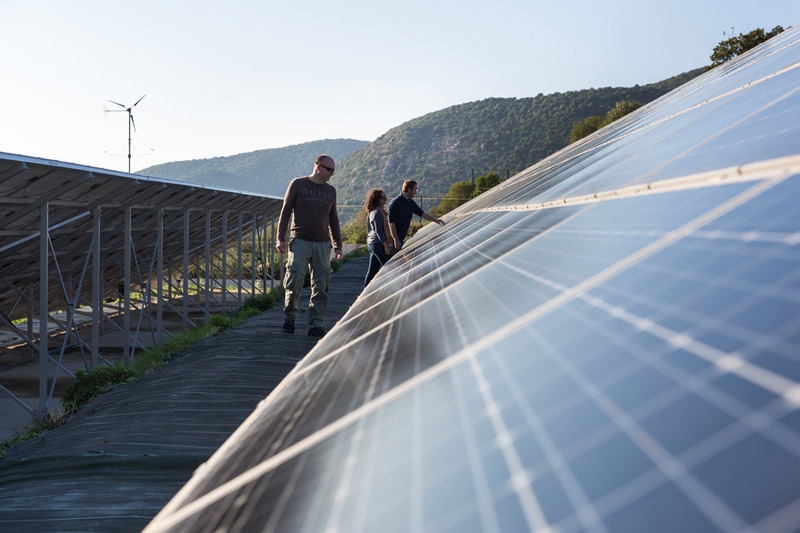 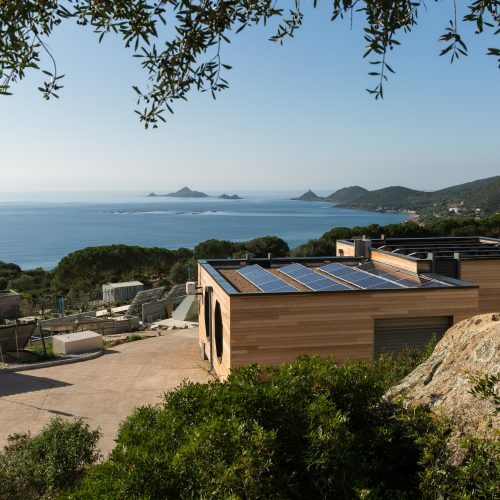 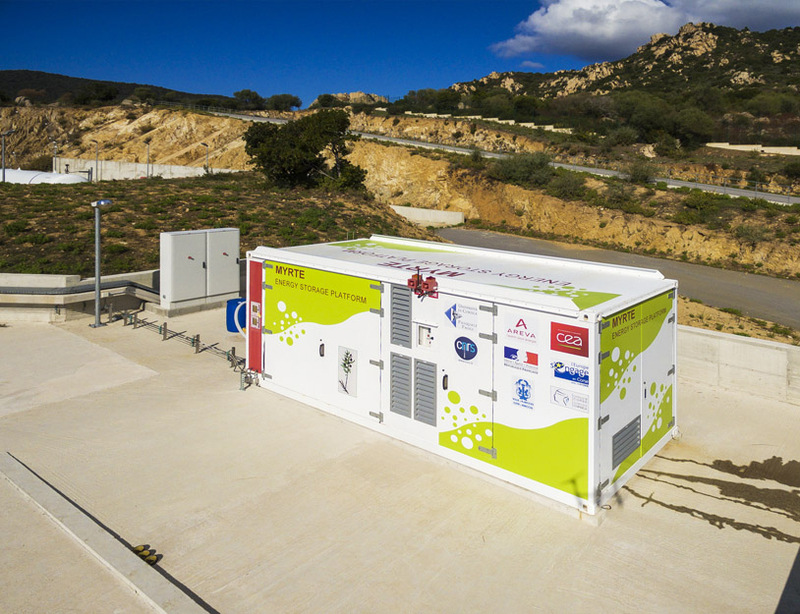 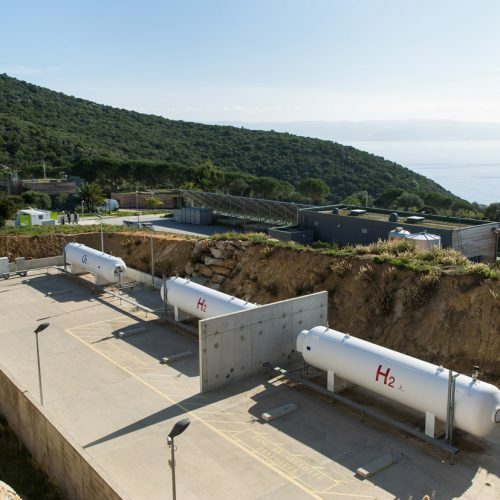 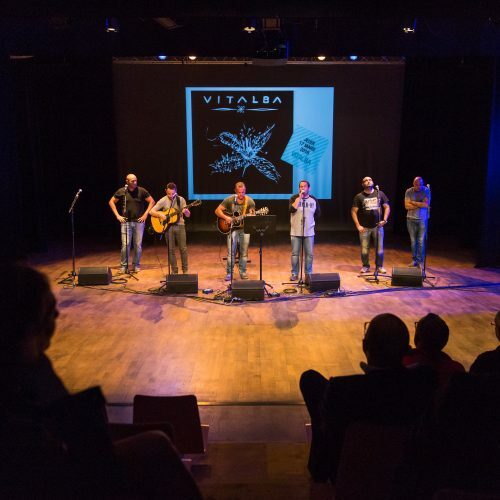 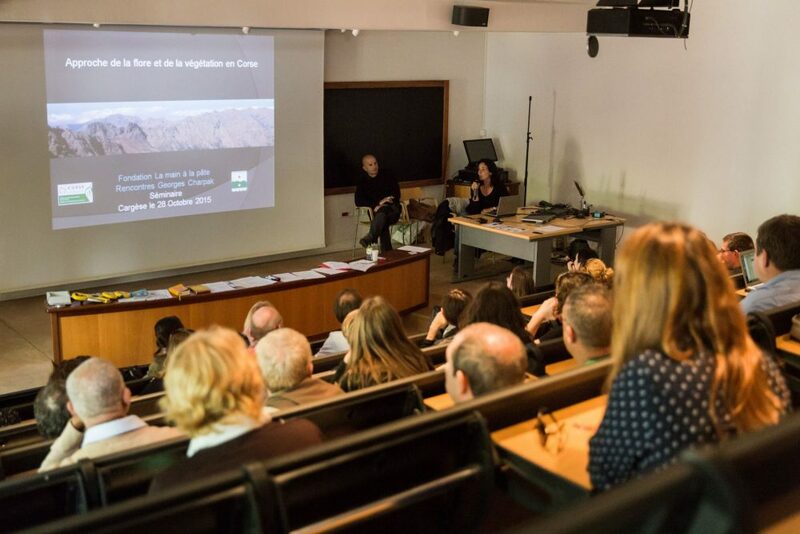 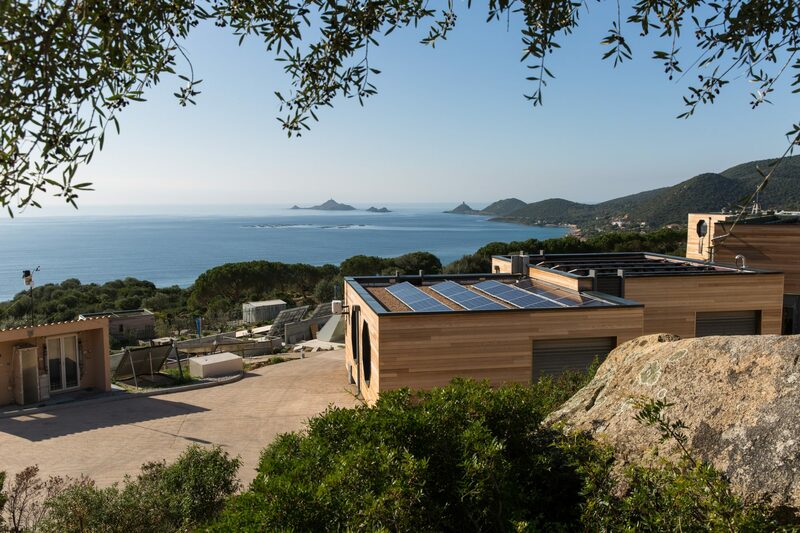 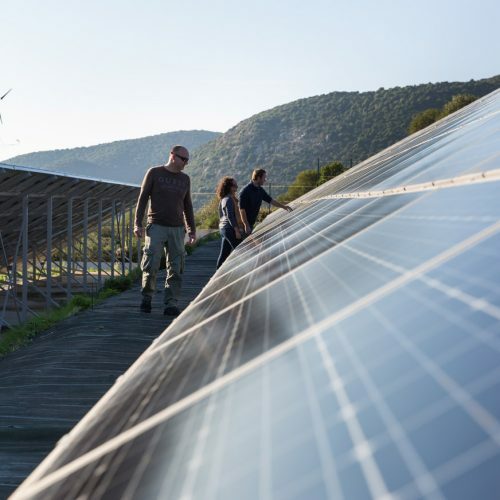 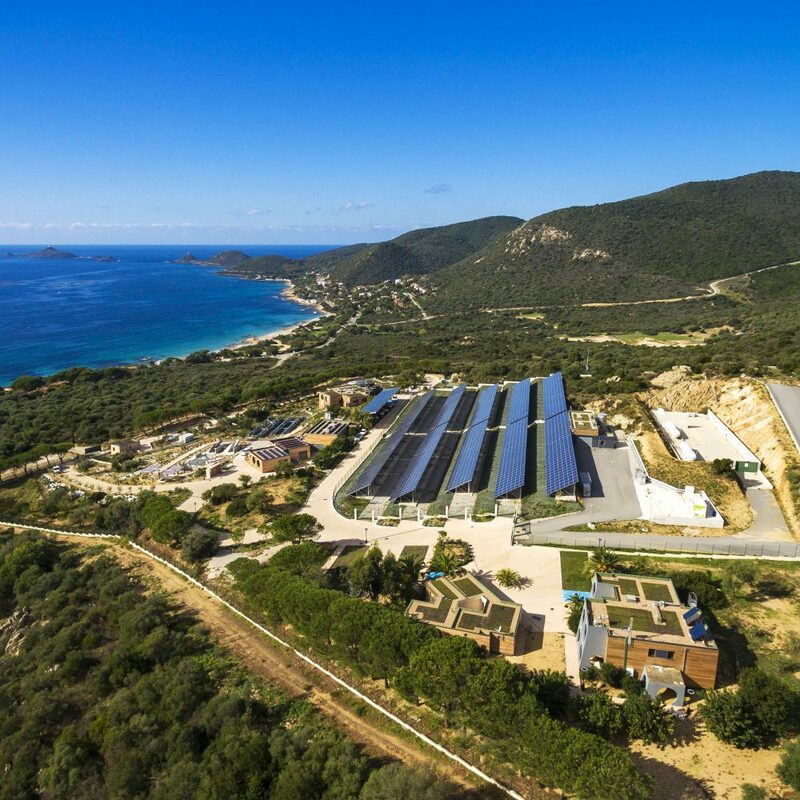 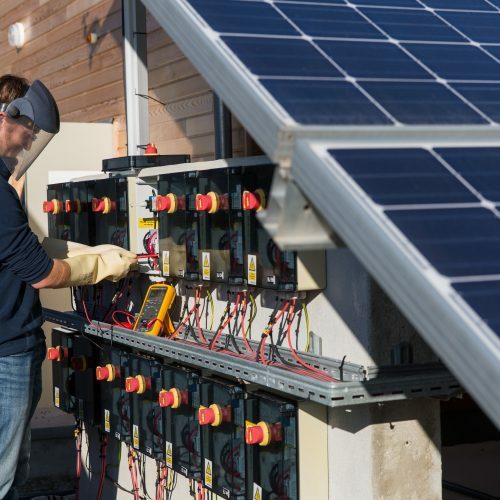 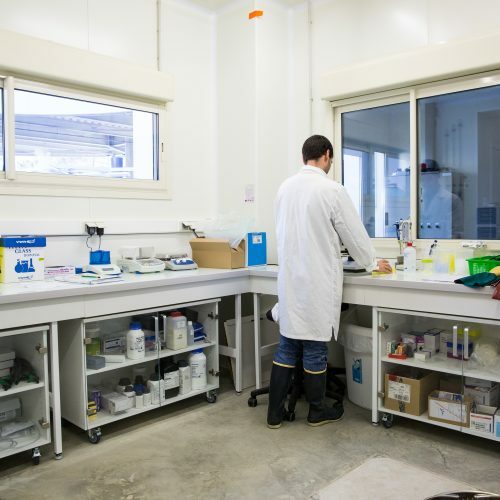 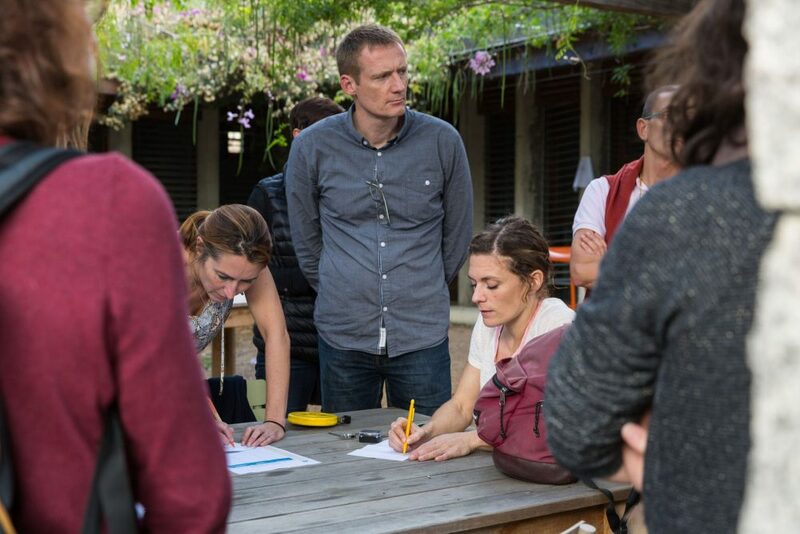 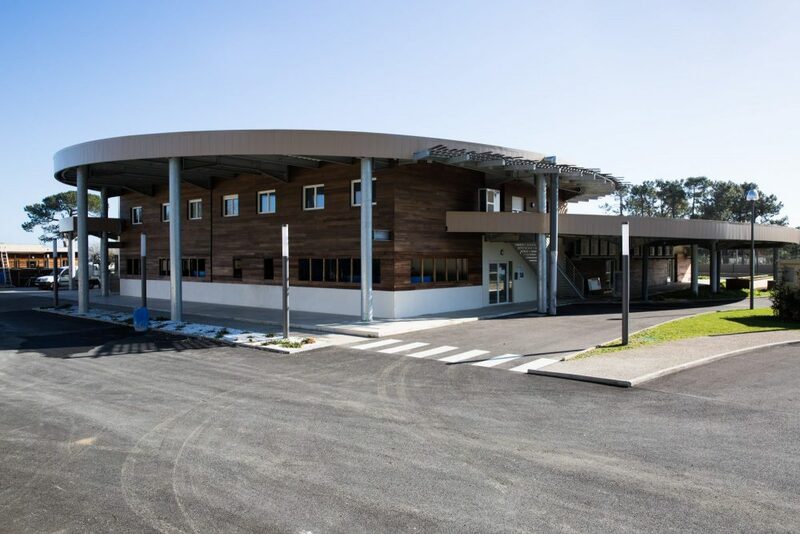 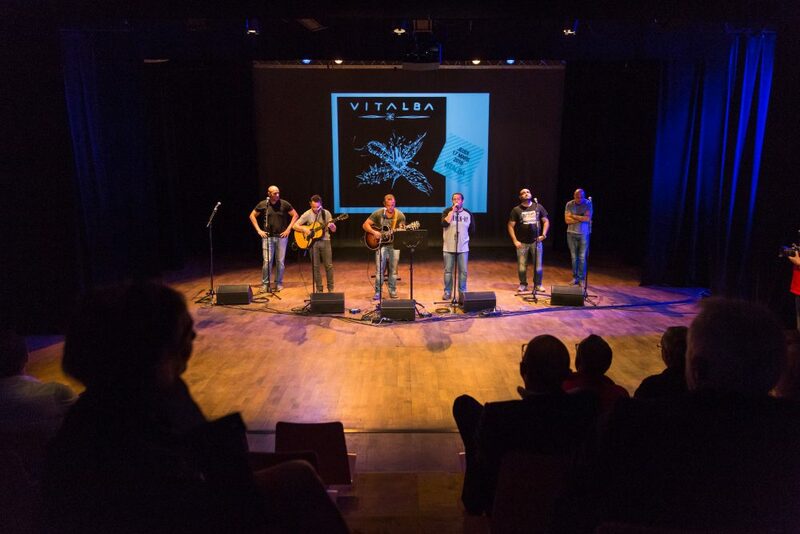 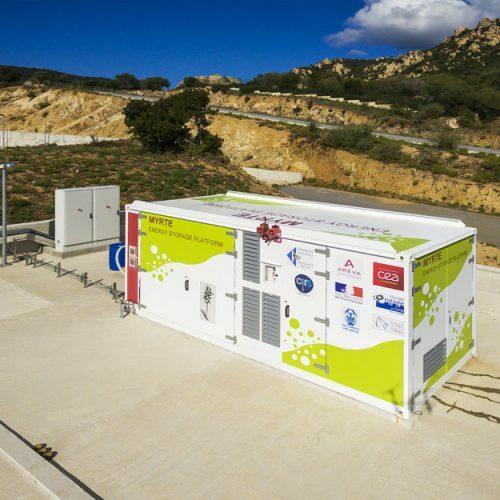 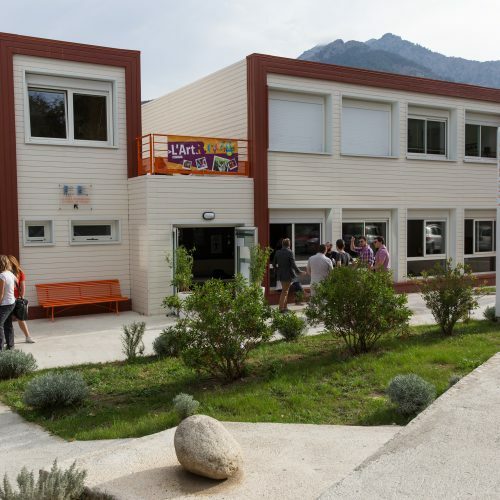 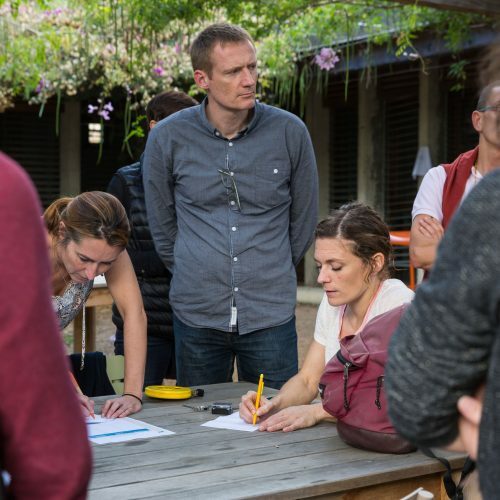 In Vignola, near Ajaccio, the Georges Peri Centre, a Scientific Research Centre, hosts the MYRTE and PAGLIA ORBA platforms of the University of Corsica. 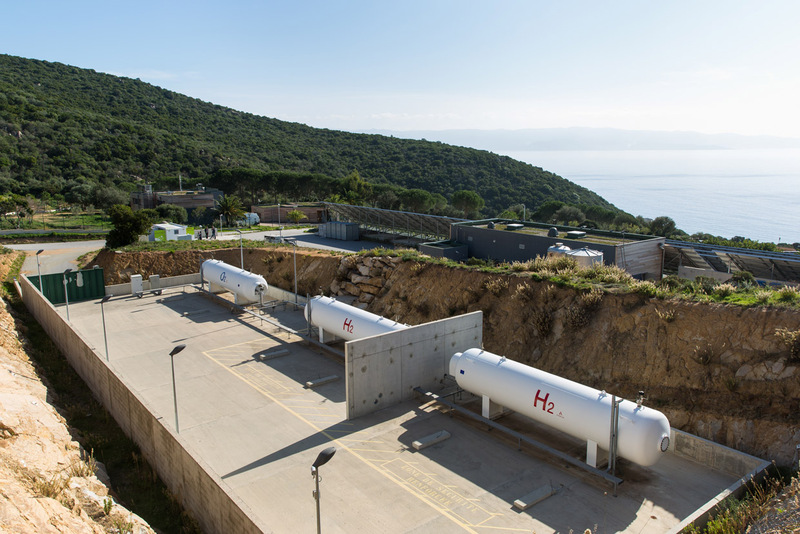 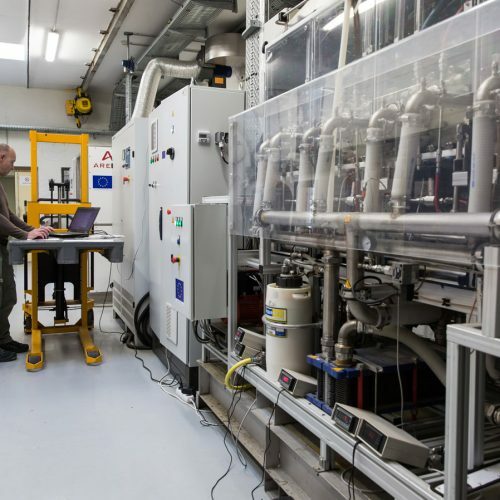 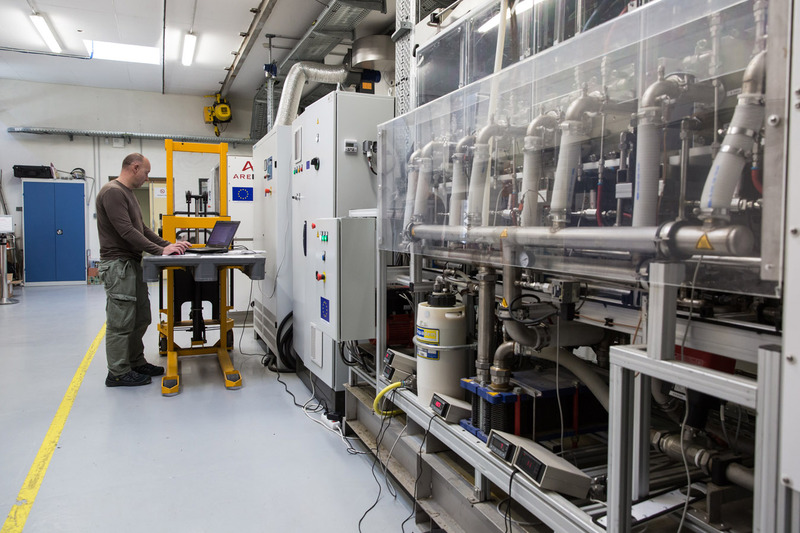 Strongly interdisciplinary, this centre is dedicated to the study and the modelling of environmental physical systems. 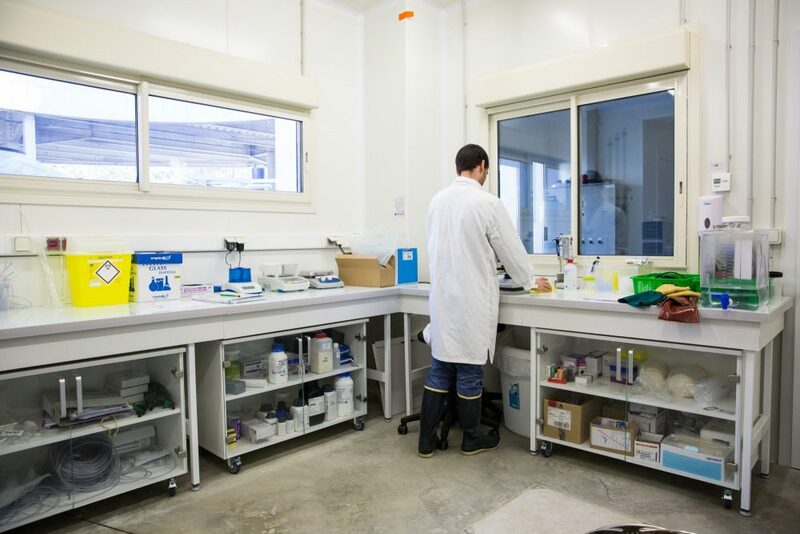 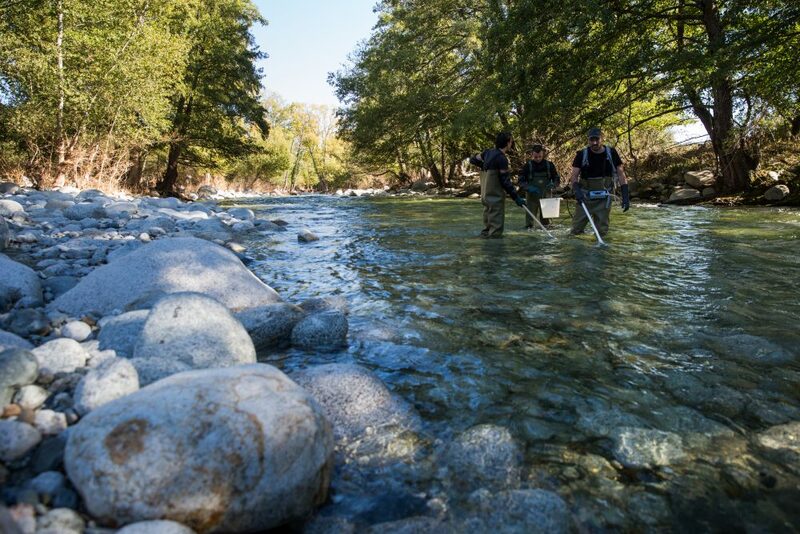 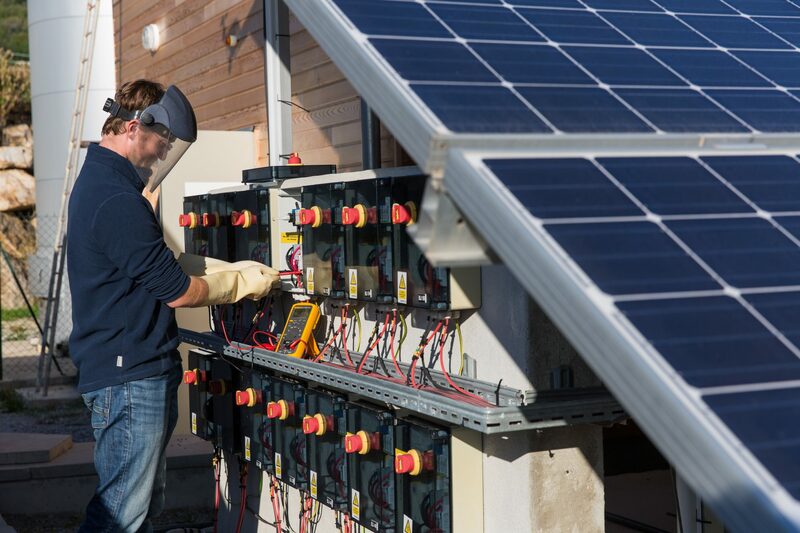 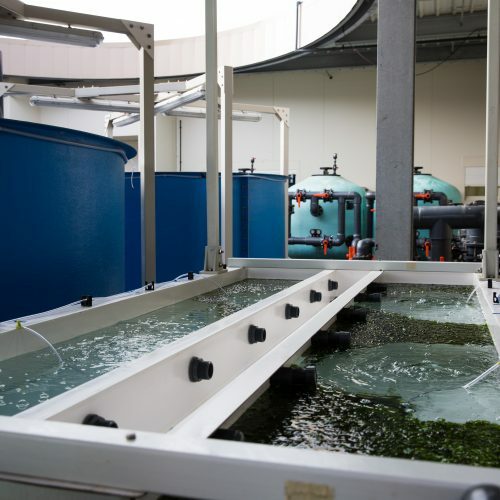 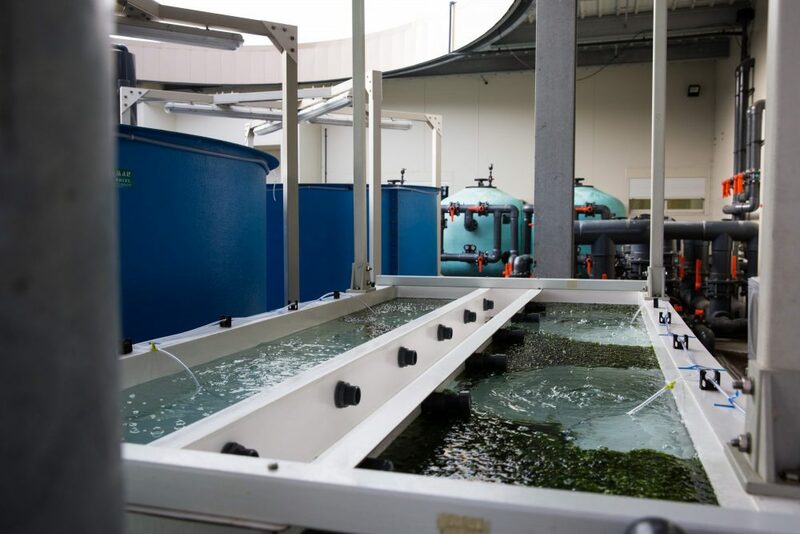 Research areas include renewable energies, water, biomass, risk management, geophysical fluids, hydrobiology and acoustics. 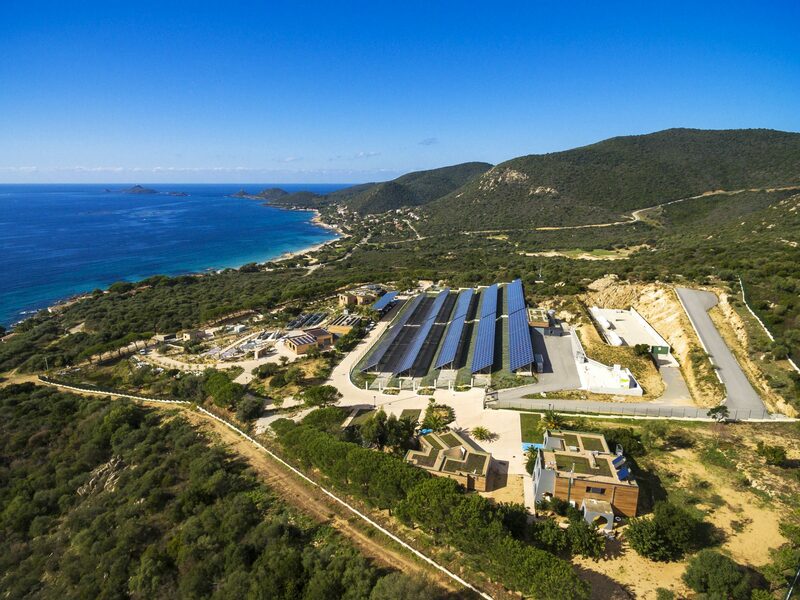 It is a global reference point for ecological economics. 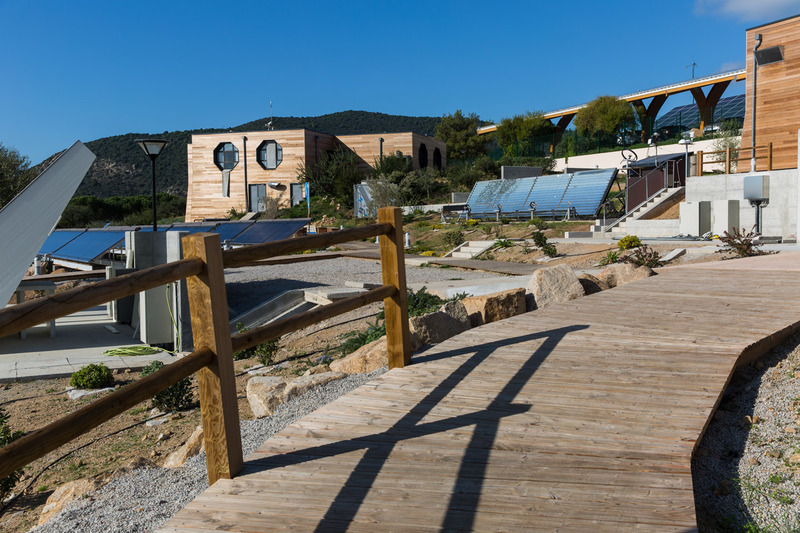 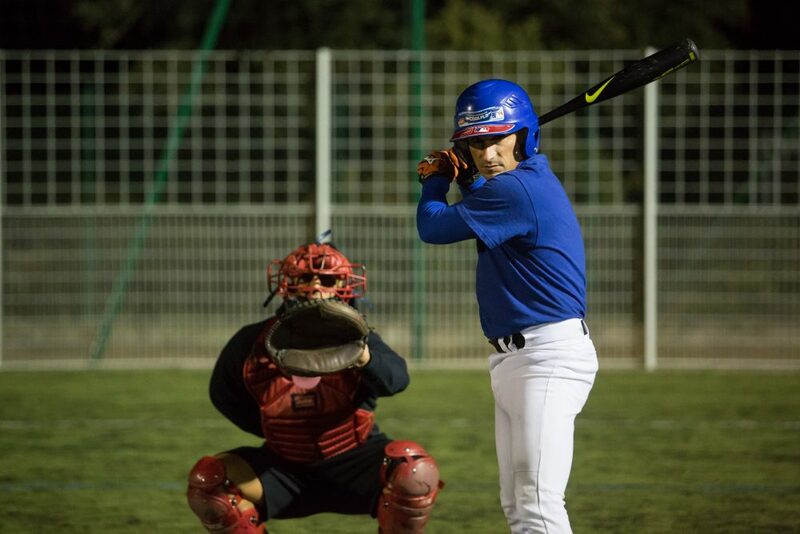 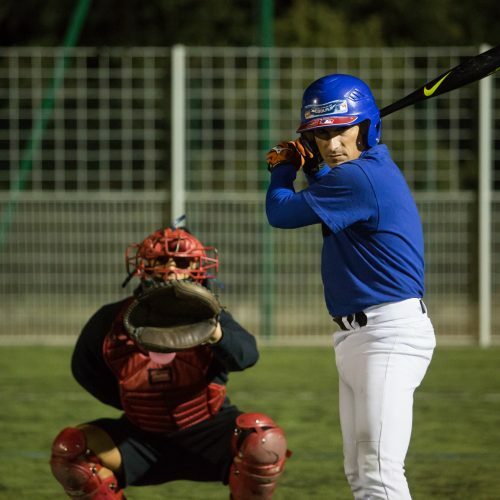 Ajaccio also hosts one of the sites of the ESPE, Superior School for Teaching and education. 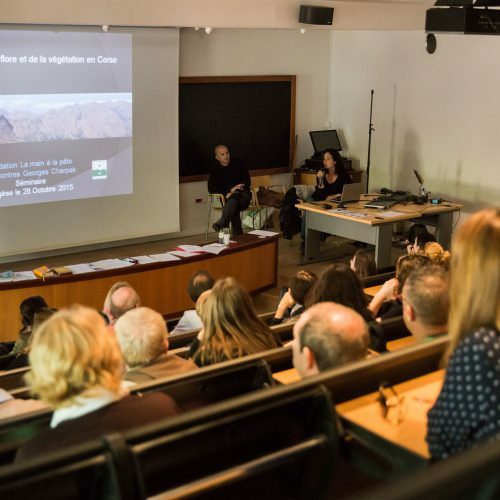 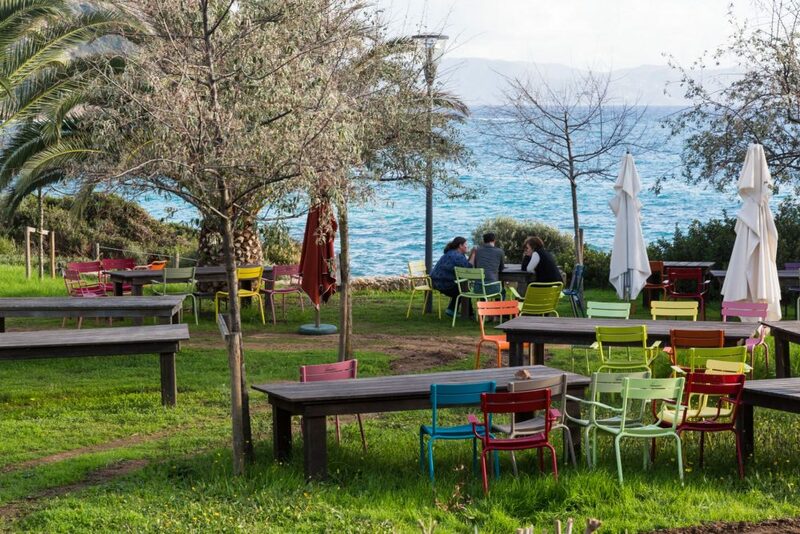 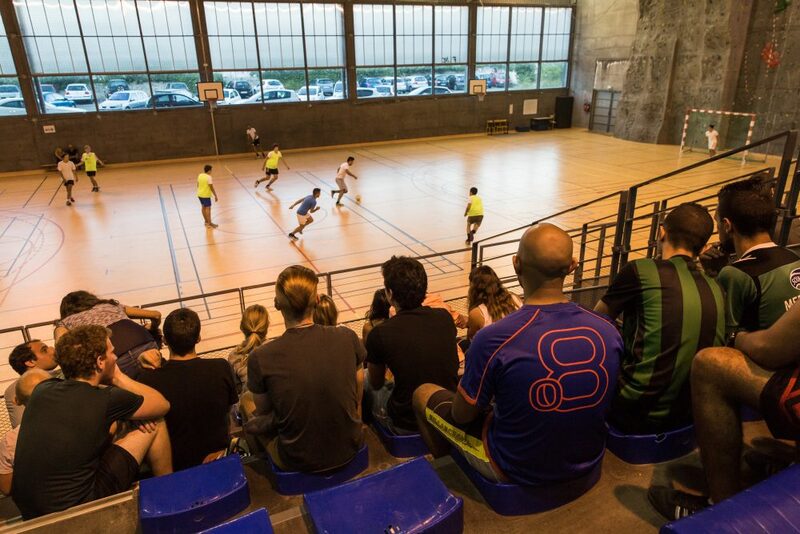 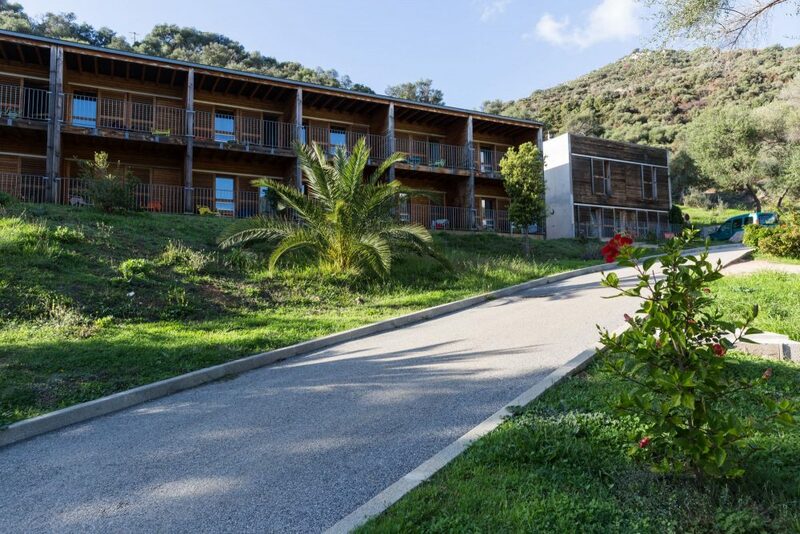 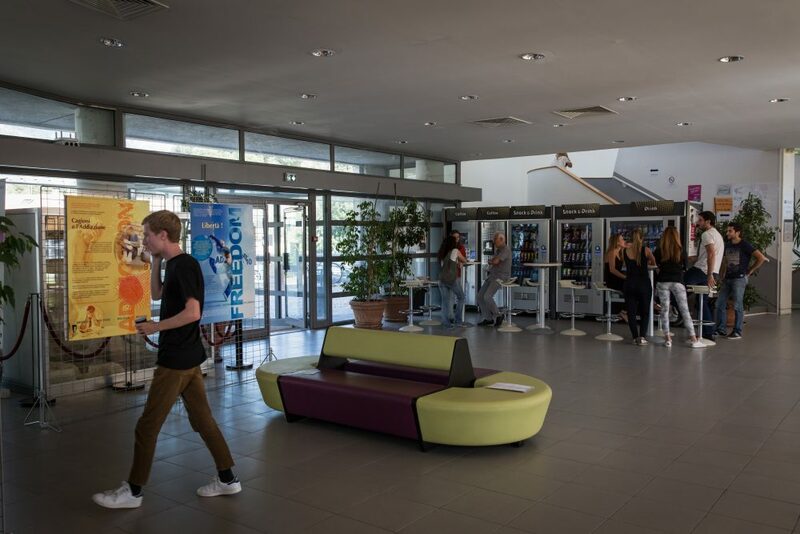 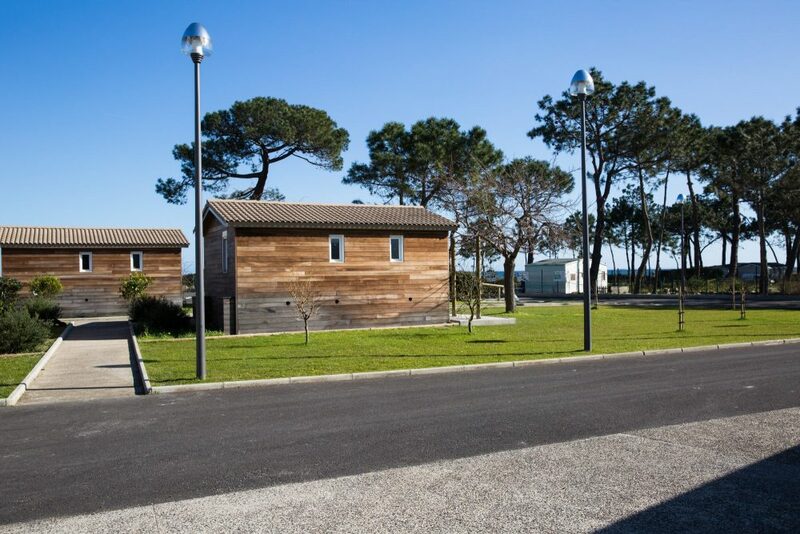 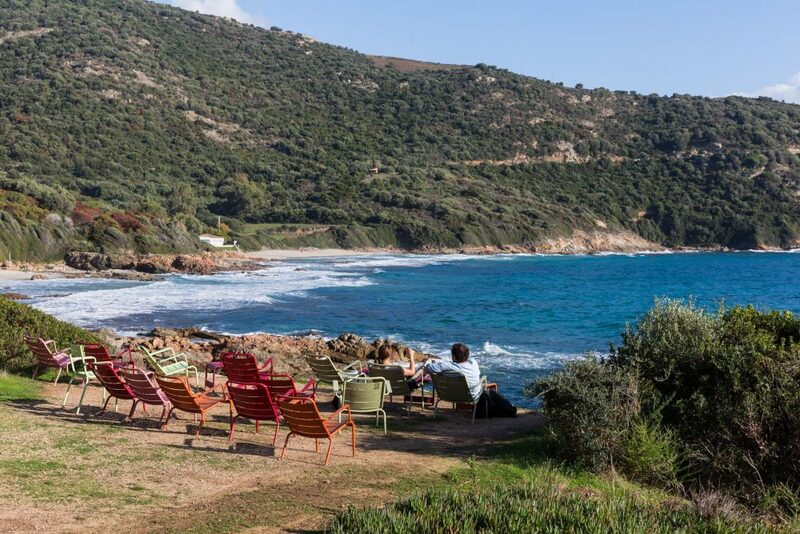 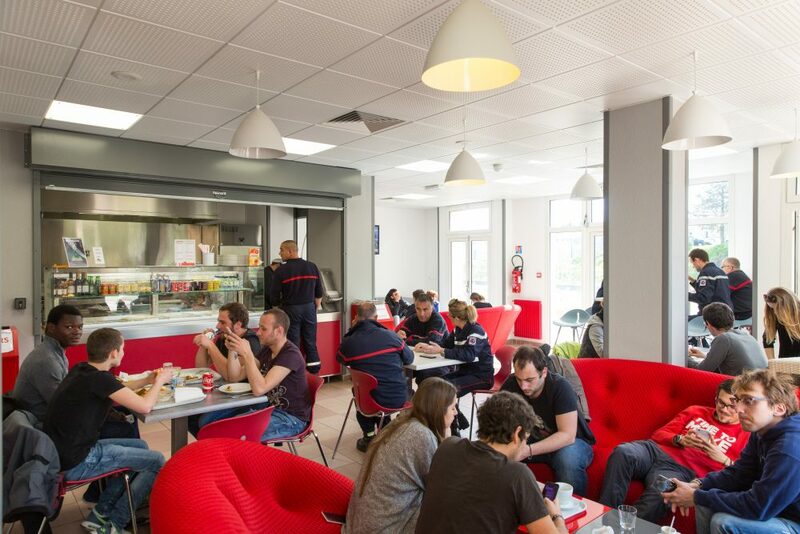 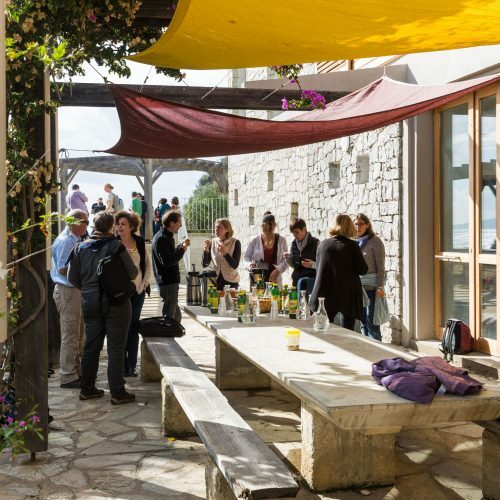 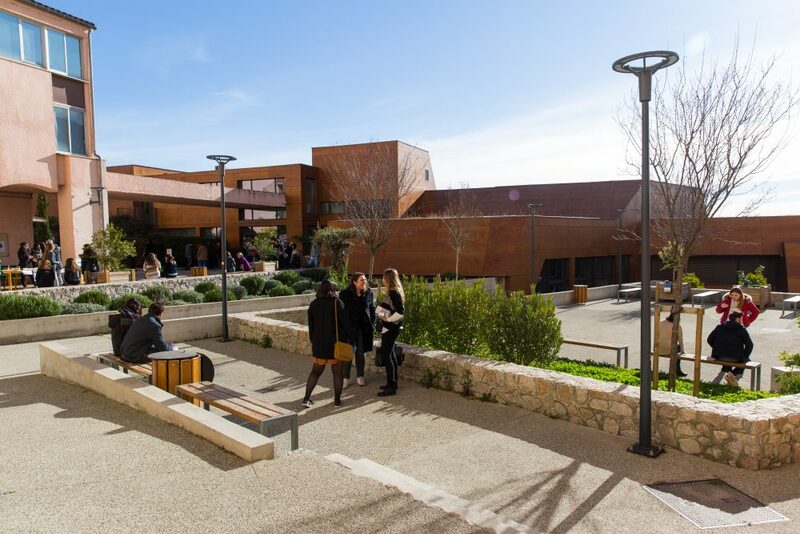 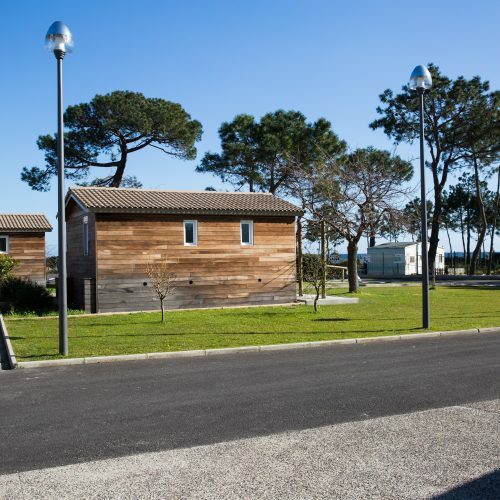 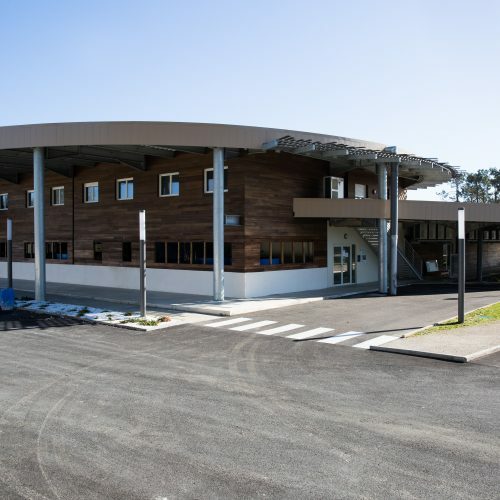 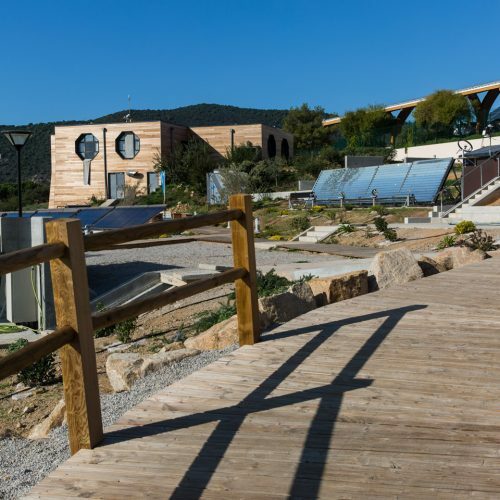 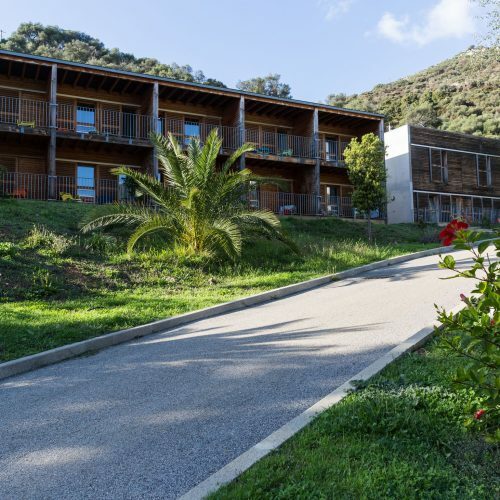 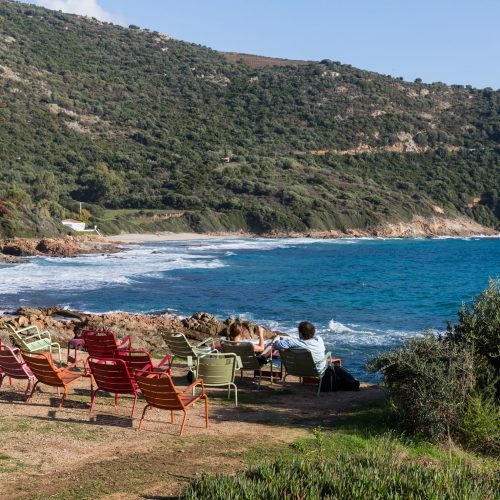 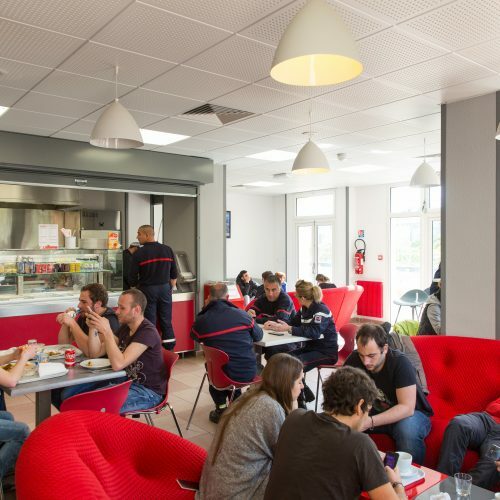 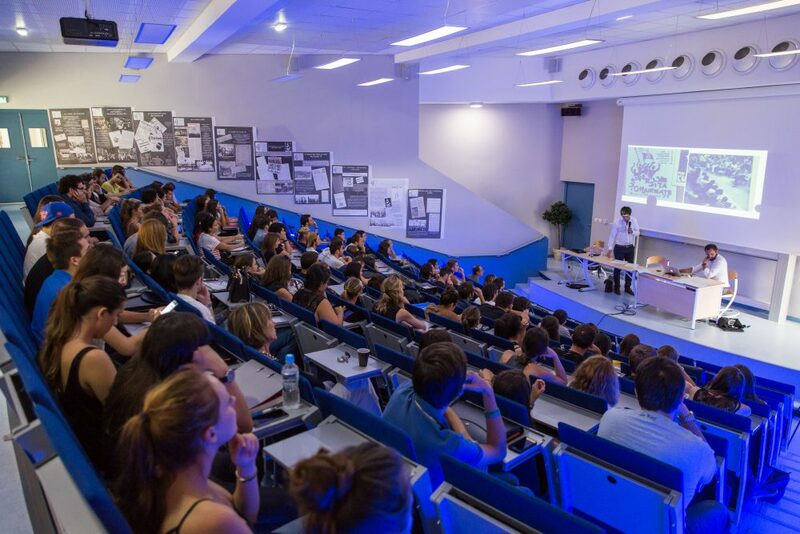 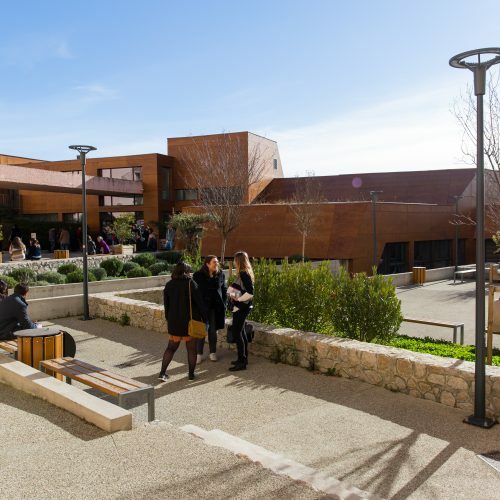 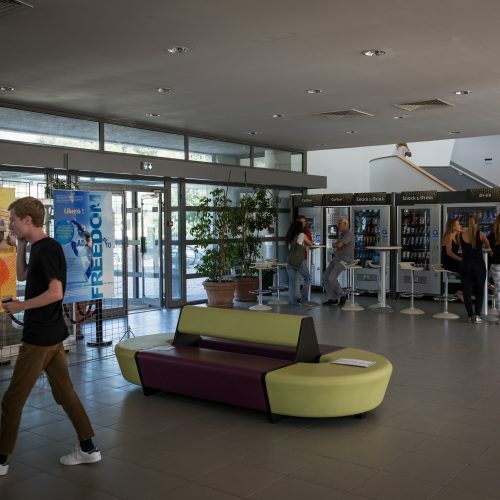 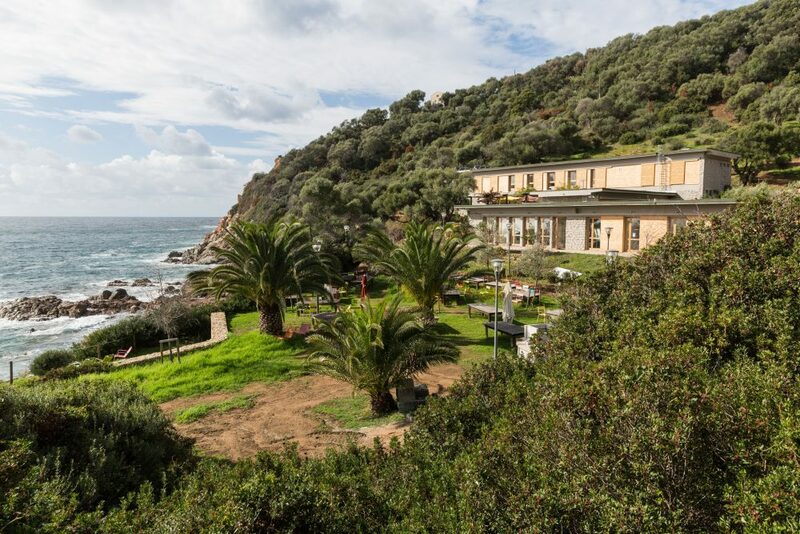 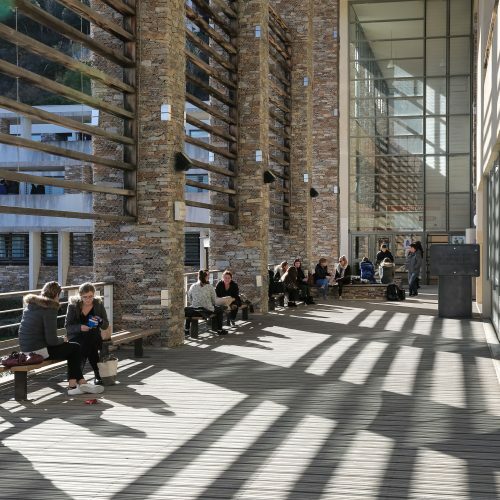 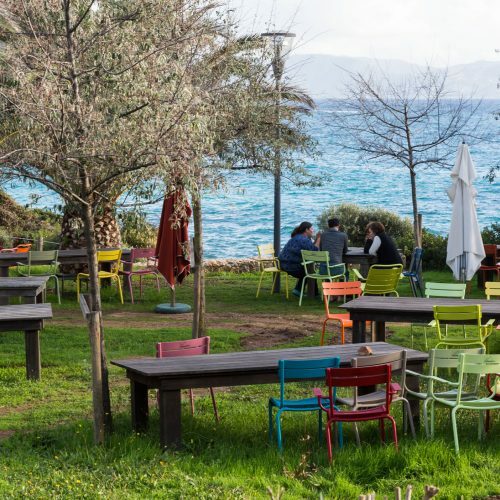 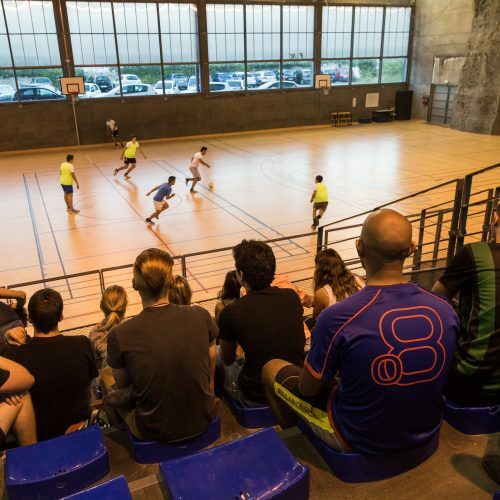 Located on the seaside at the entrance of Cargèse, 50 kilometres north of Ajaccio, the Institute of Scientific Studies of Cargèse is a common structure of the University of Corsica, the CNRS and Nice Sophia Antipolis University. 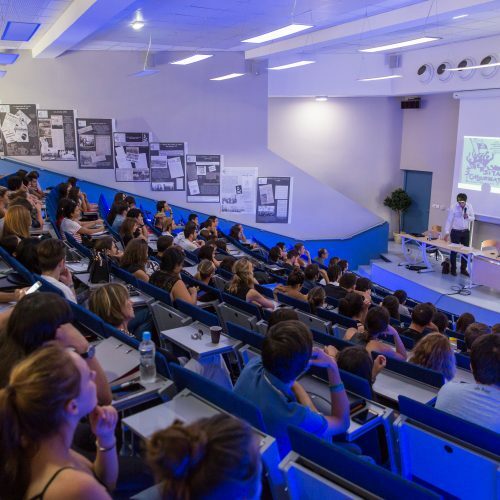 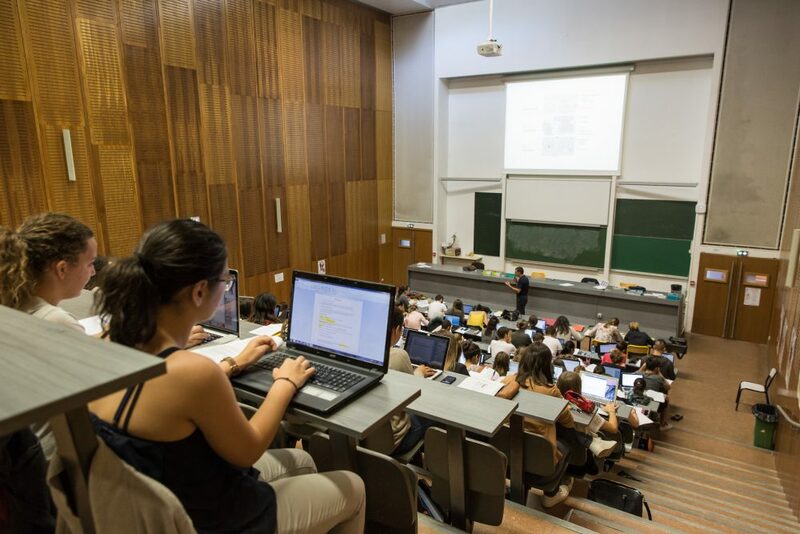 All year round it hosts international conferences organized by major institutions such as the NASA, the CEA, the CERN and thematic schools of scientific nature.